White House hopeful Mayor Pete Buttigieg said he realizes the "audacity" of somebody like him pursuing a run for president of the United States, but said that his mayoral experience would be an asset in Washington. "I get the audacity of somebody like me talking about running for this office, but frankly it’s a leap for anybody," Buttigieg told ABC News Chief Anchor George Stephanopoulos on “This Week” Sunday. "And yet all of the people who had that job have been mortals who just bring their experience to the table. My experience is that of guiding a city through transformation, and I think a mayor at any level has the kind of executive frontline government experience and, by the way, problem solving experience that we need more in Washington right now." 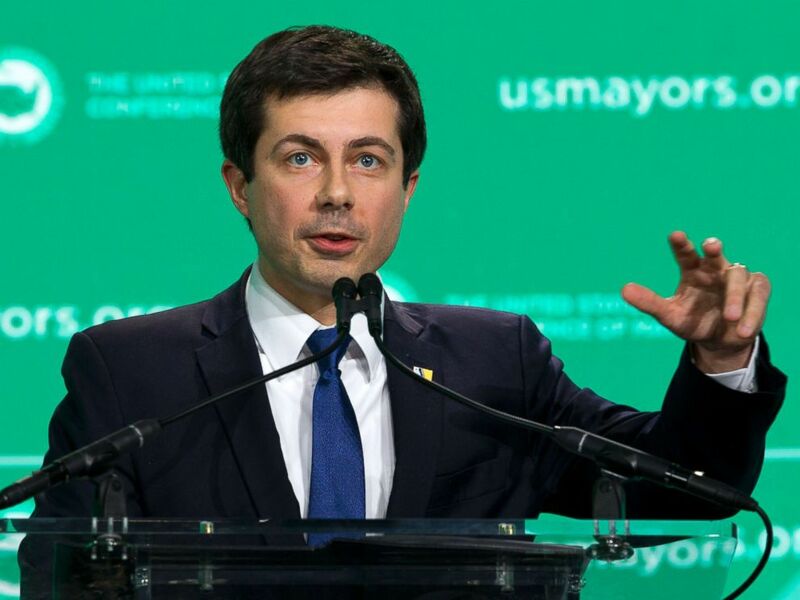 Buttigieg, the 37-year old, two-term mayor of South Bend, Indiana, announced he was forming a presidential exploratory committee, the precursor to an official campaign, on Jan. 23. Buttigieg is Midwestern-raised, Ivy League-educated and a Navy veteran who served in Afghanistan. He is hoping make history as the first openly gay presidential nominee of a major party. Mayor Pete Buttigieg talks with a reporter in South Bend, Ind., Jan. 10, 2019. “What exactly does it mean to you and why are you the best person to deliver on that promise?” Stephanopolous asked Buttigieg on “This Week” about that message. “Conservatives care a lot about one kind of freedom and it's freedom from, freedom from regulation, freedom from government," Buttigieg said, "but certainly, in my life experience, there are a lot of things besides government that can make you unfree. One example Buttigieg put forward is that people aren’t free if they can’t start their own small businesseses because they would lose health care if they quit their jobs. “I don't see why it requires that," he said. "I mean, after all, if the framework we're using is Medicare. A lot of people who have Medicare also have Medicare supplements, Medicare Advantage, something like that. There can be a role for the private sector." “I just don't believe that leaving Americans to the tender mercies of corporations is the best way to organize the health sector in this country,” he added. Pete Buttigieg, Mayor of South Bend, Ind., speaks during the U.S. Conference of Mayors winter meeting in Washington, D.C., Jan. 24, 2019. “You would have single-payer, eventually that would mean doing away with everyone's plans. How can you possibly sell that in this country today?” Stephanopoulos pressed. 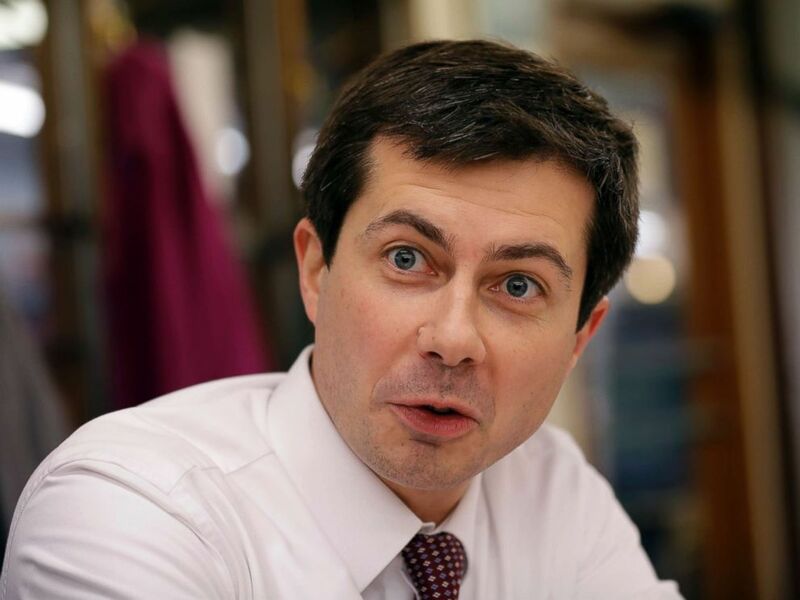 Stephanopoulos also asked Buttigieg about being a married gay man in a country with very few prominent openly gay politicians. “Any concerns the country is not ready for a gay couple in the White House?” he asked. Buttigieg spoke about his decision to come out while running for re-election to his second mayoral term. He didn’t know what would happen, he said, but he was ready to open up about his sexual identity. He ended up being re-elected with 80 percent of the vote.